On Friday 20th March 2015, a total solar eclipse will occur across the far Northern regions of Europe and the Artic. The longest duration of totality for this eclipse will be 2 minutes and 46 seconds as viewed off the coast of the Faroe Islands. The RSGB Propagation Studies Committee (PSC) is keen to encourage radio amateurs to take part in an experiment during the partial solar eclipse taking place on Friday 20th March 2015. This is a great opportunity to try some simple experiments to see how the sun’s ultra violet output affects our ionosphere and how some radio waves are propagated. On the morning of Friday March 20th 2015 the D layer above the UK may not be as strong due to the eclipse, and you may be able to hear stations on the lower bands – 1.8 MHz, 3.5 MHz and perhaps 7 MHz that would otherwise be inaudible during the day. For example, if you listen for a medium wave radio station that is more than 250-300 miles away during the day you may not hear it – it is too far away for its ground wave signal to reach us, and any sky wave signal is absorbed by the D layer of the ionosphere. But at night its sky wave signals are not absorbed as there is no D layer and they are free to be reflected back to earth from the higher E/F layers. This is why you can hear distant medium wave stations on a radio at night, but they aren’t there during the day. You get a similar effect on Top Band, and to a lesser extent 80m/40m. The PSC are keen to encourage radio amateurs to conduct experiments during the eclipse, especially if they can use software defined radios (SDRs) to record the whole eclipse period for later analysis using Spectrum Lab or similar, or if they can use WSPR. For more information about WSPR please follow this link. The information gathered by the PSC will also be shared with the Rutherford Appleton Laboratory at Harwell. The maximum possible duration of a total solar eclipse is 7 minutes 31 seconds. In 2024 a duration of 3 minutes 45 seconds can be expected in Buffalo New York rising to 4 minutes 18 seconds in Mazatlan in Mexico. The point of greatest duration is west of San Pedro where 4 minutes 28 seconds is predicted. In the 2026 eclipse the path of totality sweeps west of Iceland, Ireland and the United Kingdom before turning east and crossing Spain. Greatest duration of eclipse occurs over the Atlantic Ocean to the north west of Iceland where 2 minutes 18 seconds is predicted. 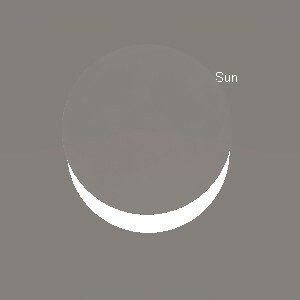 However, the duration whilst over land varies from 1 minute 49 seconds in Pola de Lena in northern Spain to 1 minute 39 seconds at Peniscola on the Balearic Coast and 1 minute 35 seconds at Cala Figuera on Palma which about the most westerly point of land on the centre of the path of totality. In 2027 a duration of 4 minutes 50 seconds will be experienced in Tangiers (Morocco), 5 minutes 41 seconds in Sfax (Tunisia) and 6 minutes 20 seconds in Luxor (Egypt). The point of greatest duration is south of Bani Sanad where 6 minutes 23 seconds is predicted.